Continuing Legal Education Online Courses with MCLEZ are for Virginia attorneys who want to make the most of their time and money. Easily earn Virginia MCLE credit through courses which have been produced in a variety of legal subjects that matter to you. 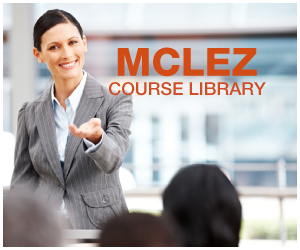 If you are new to MCLEZ, try a course for free before you make your purchase with our Free CLE program. To fulfill your entire Virginia MCLE requirement, see our Virginia Bundles page under State CLE Bundles. All courses offered to Virginia attorneys have been approved by the Virginia State Bar. MCLEZ.COM is a Virginia State Bar approved online provider of CLE. Find us on the Virginia State Bar list of Approved Online Sponsors, or call 804-775-0577. Attorneys Steven R. Fox and Jacob Stein provide insight into Bankruptcy, and how to protect assets in the event of one. Fox provides a practical approach to a sensitive subject. He discusses the different options, and the pros and cons of each. He then focuses on key elements, rounding up with potential pitfalls to avoid. Stein answers the big question, is there life after bankruptcy? He provides an overview of Asset Protection before delving into the structures and strategies best used in the event of a bankruptcy. Over the course of his career Mr. Stein has represented thousands of clients, including: officers and directors of Fortune 500 companies; Forbes 400 families; celebrities; Internet entrepreneurs; high-profile real estate developers, builders and investors; physicians; wealthy foreigners doing business in the United States; small business owners; attorneys, accountants and financial advisors; and many other individuals facing financial adversity or seeking privacy for their holdings. His other works include his book: A Lawyer?s Guide to Asset Protection Planning in California, Second Edition, published in April of 2016, which is the only legal treatise on asset protection specific to California, and International Joint Ventures ? A Concise Guide for Attorneys & Business Owners, published in 2014. Mr. Stein is a frequent lecturer to various attorneys, CPA and other professional groups, teaching over 100 seminars per year. His presentation topics include: Tax Planning for Cross-Border Joint Ventures, A Foreigner?s Guide to Investing in U.S. Real Estate, Creative Planning with Controlled Foreign Corporations, Advanced Asset Protection Planning, Choice of Entity Planning, Estate Tax Planning and various courses on trust law. He is an instructor with the California CPA Education Foundation, National Business Institute, Thomson Reuters, the Rossdale Group and Lorman Education Services where he teaches courses on advanced tax planning, structuring international business transactions, asset protection and trust law. He is an adjunct professor of taxation at the CSU, Northridge Graduate Tax Program. Steven R. Fox is active in professional organizations relevant to his practice and is a leader in the legal community. He chairs the Bankruptcy Section of the San Fernando Valley Bar Association where he is known for presenting timely and compelling programming. He is a member of the Los Angeles Bankruptcy Forum, the American Bankruptcy Institute and the National Association of Consumer Bankruptcy Attorneys. In the early 2000s, recognizing a need for new attorneys practicing consumer bankruptcy law to have a forum to learn and to grow in their field, Mr. Fox became one of the founders of the Central District Consumer Bankruptcy Attorneys Association in Los Angeles. This class is the second in a special MCLEZ series on The Rules of Professional Conduct. The Rules, written by the American Bar Association, are "the gold standard" when making critical decisions about ethics, compliance and best practice. The ABA Rules have been adapted by most state bars for the benefit and guidance of their members. In addition, the Rules are an authority across the U.S. during attorney disciplinary hearings and fee dispute arbitrations. In this class, David Graulich, Esq. examines Rule II (Counselor) and Rule III (Advocate). Among the topics covered: ethical guidelines when a lawyer serves as third-party neutral; standards for candor towards the tribunal; fairness to opposing party and opposing counsel; expediting litigation and avoiding delay, and trial publicity. Graulich illustrates the ABA rules with citations from actual cases as well as personal anecdotes from his experiences as a plaintiff's employment lawyer in Northern California. Mr. Graulich worked over 20 years in journalism and the public relations industry. He represented companies such as PepsiCo, Schwab and Computer Sciences Corp., advising senior executives on communications policies. Mr. Graulich received his law degree at the University of the Pacific - McGeorge School of Law. Mr. Graulich is currently working in private practice and resides in Sacramento, California. This course is an introduction to public advocacy and lobbying for librarians. As professionals, how can we make sure our voices are heard on issues of freedom, equity, truth, and justice? What is ethically required of us? Where are the legal (and political) danger zones? Presented by Rob Mead, Washington State Law Library. Library ethical considerations in the light of the legal restrictions on lobbying and advocacy for public libraries. Library Ethics - What should we do? How do our values inform our professional advocacy? Jacob Stein and Michelle Lerman discuss the changes to asset protection and estate planning as a result of the new Tax Act. They will provide an overview of the current legal landscape before delving into how the changes will affect existing practices, potential pitfalls to avoid, and opportunities to take advantage of in the new tax era. Jacob Stein will discuss asset protection under the new tax act. He will present a practical approach to protecting assets, applying real-life stories to theory. He will discuss strategies and solutions to protecting specific assets like residences, retirement plans, real estate investments and businesses. He will also touch on more sophisticated strategies such as Advanced trust and Offshore structures. Michelle Lerman will lead the discussion on estate planning under the new tax act. She will provide an overview on choosing the right estate plan, taking advantage of the transfer tax law, using irrevocable trusts to protect assets and much more. Michelle Lerman is an Estate Planning Attorney who is passionate about helping people reach their estate planning goals. She is a Superlawyer and certified specialist; an author who recently published the 2nd Edition of her book "Create Your Best Legacy; a featured commentator on radio and television, and a sought-after professional speaker. You've probably heard that "Conflicts of Interests" are bad and that nonprofit boards need to avoid conflicts of interests. But, what exactly is a "conflict of interest", and what should you do if your nonprofit has a "conflict of interest? Conflicts of interest are not necessarily bad. The important thing is being able to identify conflicts of interest and knowing how to manage conflicts of interests when they arise. This course on "Dealing with Conflicts of Interests" will define what a "conflict of interest" is; Give specific examples of common types of conflicts of interests that arise for nonprofits; Explain the law on conflicts of interest as it applies to nonprofits; Discuss strategies on how to manage conflicts of interests. What are the key fiduciary duties of Board members? Why is it important to be able to identify a conflict of interest? How should a conflict of interest be addressed? This course covers the basics of litigation invoking the Fair Credit Reporting Act. Potential clients are anyone whose credit reports have inaccuracies and who have not been able to get the credit reporting agencies (CRAs) to make corrections. The FCRA provides for private civil actions against the CRAs such as Experian, Equifax and Trans Union and against the furnishers of information to the CRAs, such as banks, finance companies, and debt collectors. The courts will cover the statutory framework, how the dispute process works, the issues that typically arise in civil litigation against the CRAs and furnishers, and the types damages consumers may seek. There will be discussion of the types of cases that are successful under the FCRA and the types of clients and cases to avoid. Resources available to the private practitioner will be discussed. Mark F. Anderson has practiced law in San Francisco for over 45 years. He also represents consumers Fair Credit Reporting Act cases in which the consumers were damaged by inaccurate credit reporting by banks and other creditors who report credit information to Experian, Equifax, and TransUnion. He has settled over 150 cases involving inaccurate credit reporting. Mark was one of the first attorneys in California to represent consumers in lemon law cases. He has represented consumers in over 4,000 lemon law cases. He has also represented plaintiffs in numerous consumer class actions. Join the Wikimedia Foundation and guest speakers for a discussion on how the third-party doctrine affects law enforcement, technology company practices, and data privacy expectations as the Supreme Court prepares to rule on Carpenter v. United States. In this case, the Court will consider whether the Fourth Amendment requires law enforcement to obtain a search warrant before accessing historical cell phone location records. What types of consumer data to tech companies collect? How does the third-party doctrine affect tech companies and their business practices? Do consumers really care about privacy, and what do they consider when they decide to sacrifice their privacy for certain services? Do companies tend to care about privacy more or less than consumers? Thomas A. Lenz and Cindy S. Arellano, Partners at Atkinson, Andelson, Loya, Ruud & Romo, discuss the factors which may give rise to "Misclassification" of workers by businesses. Are workers employees, or are they independent contractors, and how should businesses make these determinations? What are the possible consequences of misclassification? What are the new developments, trends and cases in this legal arena? The presenters discuss the benefits and risks of Independent Contractor status, triggers for misclassification audits, how to determine if a worker is properly classified and IRS criteria in classification matters. They offer valuable tips and a comprehensive review on how to conduct a best practices review of current employee classification systems and independent contractor relationships and review the new cases and laws in which these issues continue to be addressed. "Misclassification" - What Is It? What's New with Classification Issues? How Do I Know If a Worker is Properly Classified? Thomas Lenz is a senior partner handling all aspects of labor and employment law issues from the firm's Cerritos and Pasadena offices. He heads the firm's traditional labor and National Labor Relations Board practice. He works with employers in all major industries across California and the West. He currently services on the Executive Committee of the Labor and Employment Section for the State Bar of California. Tom began his law practice with the National Labor Relations Board, Region 21, in Los Angeles, where he investigated and tried unfair labor practice cases, ran workplace elections, and acted as an administrative hearing officer. Tom was assigned difficult cases, including numerous charges involving SEIU's Justice for Janitors campaign activity throughout Los Angeles, and the majority of his cases required work in the Spanish language. He received a formal commendation for his performance from the Agency's General Counsel. Tom received his undergraduate degree from Marquette University and his law degree from the Louisiana State University Law Center. Tom studied in Spain during college (Universidad Complutense de Madrid) and in France during law school (Universite d'Aix‐en‐Provence). Tom sits on a variety of boards and committees, including San Gabriel Valley Economic Partnership (Board Member), International Institute of Los Angeles (Secretary), State Bar of California Labor and Employment Section (Executive Committee Officer), Associated Builders and Contractors (National Legislative Committee Member), National Club Association (Board Member), Orange County Labor and Employment Relations Association/OC LERA (Past President and current Board Member), and Marquette University Alumni Club of Southern California (Past President and current Board Member). Tom has been named to the Top One Hundred Labor Attorneys in the United States by Labor Relations Institute, Inc., a leading industry information source. Cindy Strom Arellano, head of the business and tax team, is a senior partner in the Cerritos office. Ms. Arellano?s practice focuses on employee benefits and executive compensation, qualified and nonqualified deferred compensation and retirement plans, health and welfare benefit plans, ERISA, tax audits and other tax controversy matters, and MBE/WBE/DBE certification. She also works with nonprofits, including educational foundations, auxiliary organizations, charitable organizations, and trade associations, and represents clients in general corporate transactional matters, business formations, compensation structuring, and mergers and acquisitions. Ms. Arellano regularly assists clients with drafting and reviewing executive and deferred compensation plans and agreements and advises both public and private sector clients on a variety of issues relating to 401(k), 403(b), 457 and other deferred compensation/retirement plans. She also assists clients with controlled group issues and with correcting qualified plan errors through IRS and DOL compliance programs. In addition, Ms. Arellano has considerable experience counseling clients with respect to their health and welfare benefit plans, Section 125 cafeteria plans, GASB 43 and 45 plans, voluntary disability plans, fringe benefit arrangements, and COBRA issues arising in mergers, acquisitions and/or restructuring of businesses. Ms. Arellano has represented numerous clients in the trucking, construction, entertainment, and other industries in connection with tax audits and controversies with the Employment Development Department (EDD), Internal Revenue Service (IRS), Franchise Tax Board (FTB) and State Board of Equalization (SBE). Audits and tax controversies handled by Ms. Arellano have covered a multitude of issues, including worker misclassification, sales, income and employment tax disputes and trust fund recovery penalty assessments. Ms. Arellano has successfully appealed many tax assessments, and has negotiated many favorable alternate payment arrangements and settlements of disputed tax liabilities on behalf of clients who are in collections, under audit, or who have a pending appeal of an assessment by the IRS, EDD, SBE and/or FTB. Ms. Arellano received a Bachelor of Arts degree in psychology from the University of Central Florida and her Juris Doctor, with distinction, from the University of Nebraska at Lincoln, where she was a member of the Order of the Coif. While at the University of Nebraska, Ms. Arellano served as a staff member of the Nebraska Law Review. Ms. Arellano received her LL.M. in taxation from the University of San Diego. Over the past decade, a number of well-publicized data leaks have revealed the secret offshore holdings of high-net-worth individuals and multinational taxpayers, leading to a sea change in cross-border tax enforcement. Spurred by leaked data, tax authorities have prosecuted offshore tax cheats, attempted to recoup lost revenues, enacted new laws, and signed international agreements that promote "sunshine" and exchange of financial information between countries. The conventional wisdom is that data leaks enable tax authorities to detect and punish offshore tax evasion more effectively, and that leaks are therefore socially and economically beneficial. This Article argues, however, that the conventional wisdom is too simplistic. In addition to its clear benefits, leak-driven lawmaking carries distinctive risks, including the risk of agenda setting by third parties with specific interests and the risk associated with leaks' capacity to trigger non-rational responses. Even where leak-driven lawmaking is beneficial overall, it is important to appreciate its distinctive downside risks, in order to best design policy responses. This Article is the first to thoroughly examine both the important beneficial effects of tax leaks, and their risks. It provides suggestions and cautions for making and enforcing tax law, after a leak, in order to best tap into the benefits of leaks while managing their pitfalls. This presentation by Rachel L. Hulkower from CDC will address the legal principles framing the collection, use, and release of health data for public health activities, including issues such as privacy, confidentiality, HIPAA, and data use agreements.